In the age of digitization, it’s all about being open and sharing knowledge, isn’t it? As a true tech company driven by the passion to develop the best product for our customers, we are highly interested in gaining new insights from internal and external experts alike. Hence, the ABOUT YOU headquarter in Hamburg has become a frequent meeting spot for IT enthusiasts and tech aficionados. It all started in the end of 2017, when we began opening our office space to already existing Meetups. As of today, Meetups take place at least twice a month usually focusing on various tech-related issues ranging from coding, tech stacks and agile working to SEO or artificial intelligence. And they are not only open to guests, of course. 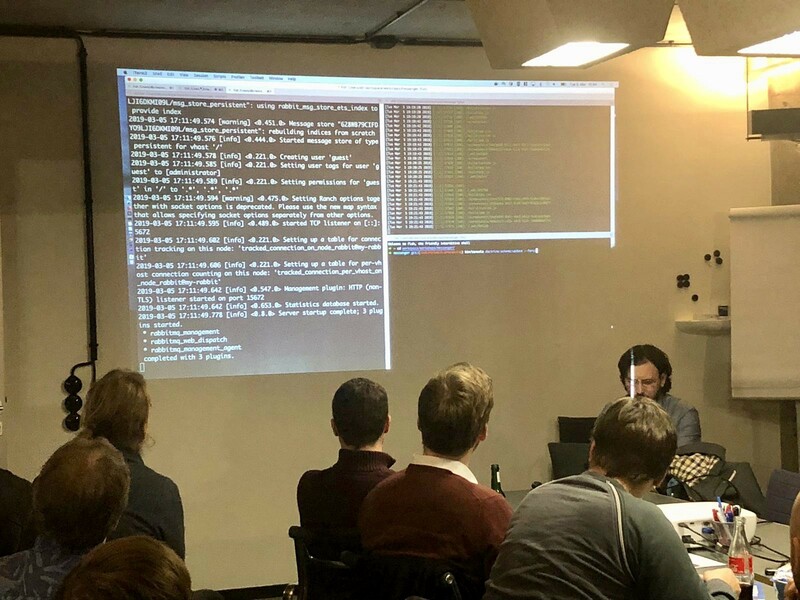 As one third of our staff works in IT, we encourage our employees to take part at the meetups, giving them the possibility to share their knowledge with like-minded colleagues. Interested in organizing a Meetup at ABOUT YOU? Feel free to contact our colleague Anna via messaging our Meetup Group. 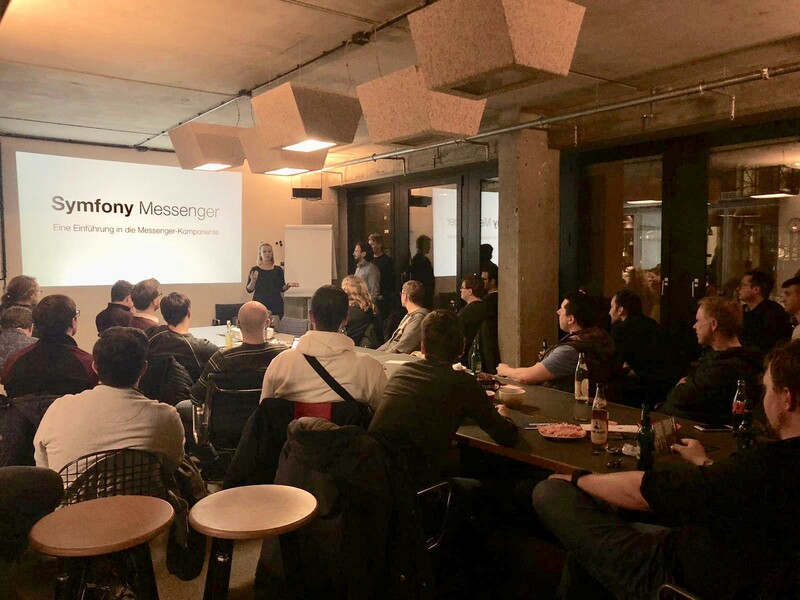 In the beginning of last week, the Meetup of the Symfony User Group took place at the ABOUT YOU office in Hamburg. In his very interesting talk, Denis Brumann from SensioLabs presented Symfonys Messenger Component which got introduced in version 4.1. It helps sending and receiving messages from applications or via message queues. As a key aspect, the component is, to most extent, decoupled from the framework, which supports Domain-driven-design approaches. Based on an example application, Denis explained the basic workflow and demonstrated the communication with RabbitMQ as a message broker. Thanks for the interesting insights, Denis! We’re hiring! Check out our vacancies at ABOUT YOU and meet us at our next Meetup. See you there!